Thank you so much for your business. You were great to work with. I will pass on your comments to my crew. Outstanding work and service. They kept me informed and finished the job as promised. I highly recommend United Wall Systems. Thank you for your recent review. We really appreciate it and it was a pleasure to work for you. I will pass on your comments to my team, Tony, Sean & Jeff. Wonderful company to work with. I would hire them again without hesitation. 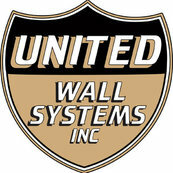 If you want a professional job done, use United Wall Systems. Thank you for your review. I will pass it on to Tony, Sean and Jeff. It was a pleasure to work with you on this project.